Do you ever have moments when you start mindlessly checking social media posts during downtime and note down each place in your city which you have yet to visit and discover? One time, while I was slacking the day away, I went through the internet scouting for a place to explore. I came across Danasan Eco Adventure Park’s website and I became engrossed with everything they have to offer. I wanted something different for my visiting relatives (mom and brother), not just the usual sun, sand, and sea vibe. I wanted to be more in touch with nature with a bit of adventure, hence, Danasan Eco Park made it to the final cut. I take family vacations seriously so this year, we went for an adventure that turned out to be an experience of a lifetime. 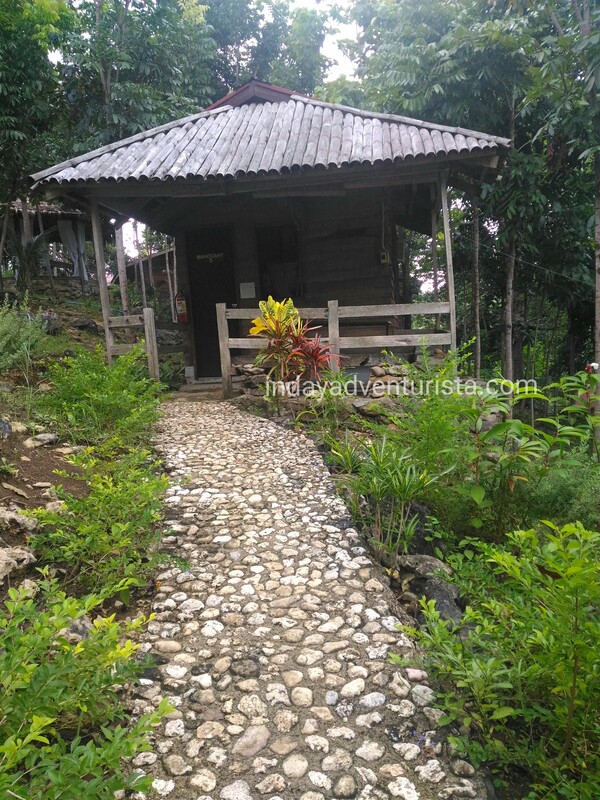 Danasan Eco Adventure Park is about 1hr 45mins (46km) away from Cebu City. You can either go by bus via Danao City from the North Bus terminal, then take a habal-habal from Central Nautical Hwy going up to the Danasan (roughly 45-50mins drive from the crossing) or avail of their shuttle service for a minimal fee. The best option to get there, hassle-free, is to take the park’s shuttle from Cebu City (Parkmall) or Danao poblacion proper. Prior to our trip, I contacted Danasan’s reservation officer (via email) to book our trip. We decided to pay in full so that we won’t worry about anything anymore when we get there. 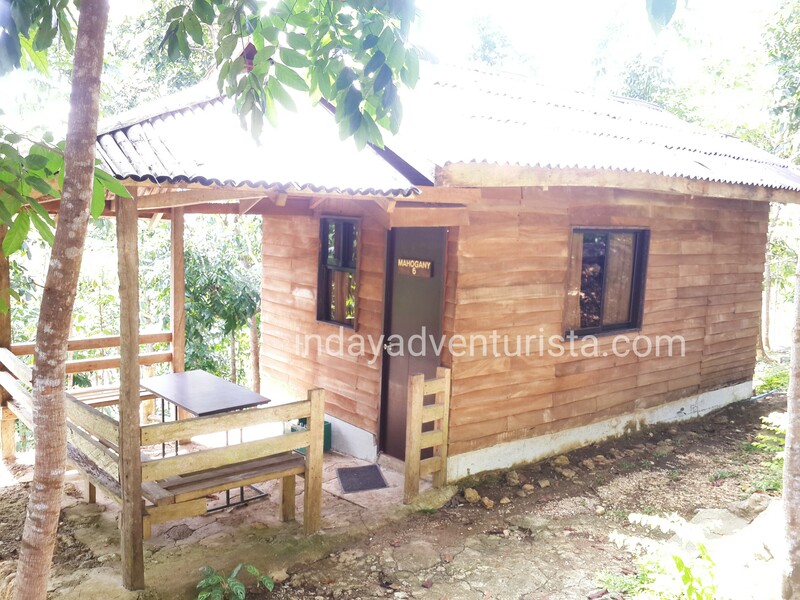 They require payment of at least half (50%) of the accommodation (including entrance fee, extra person/s if applicable, day use packages etc.) should be paid off in their office at 2nd Floor Alfresco 4 in Parkmall at least a week before your scheduled trip. We took the Danao-Danasan shuttle since the Cebu service leaves too early from Parkmall. It was an easy-breezy trip, we even had the whole Toyota Grandia van to ourselves. I would strongly recommend you take the shuttle because the road going to Danasan was kinda rough. A haba-habal ride going up would be quite challenging. 1. Being one with nature and appreciate its natural beauty. I had positive and negative thoughts running my mind because I have no idea what to expect on this trip. In spite the slight bumps here and there on the way to Danasan, the view was spectacular. I enjoyed looking at the green surroundings, corn fields and country houses along the way. I couldn’t believe the adventure park is located at the highest peak. It felt like we’ve almost reached the sky. When we finally arrived (around 9:45 AM), almost instantaneously I fell in love with its naturesque surroundings. It may be the only place in Danao where you can get the freshest air. 2. Different Adventures and other things to do. Bring the whole family to Danasan Eco Adventure Park for special gatherings or simply indulge in an epic adventure fete. Danasan is not just made for kids, even adults can join in the fun. There’s something for everyone to enjoy. A day spent at here will never be complete without trying any or all of their signature adventures designed to make adrenaline junkies and daredevils raving for more. All activities/adventures have a certain price. Here are some of the must try adventures and group packages that are available when in Danasan. We managed to try a couple of adventure activities during our staycation. Tip: If you want to experience several or all of their adventures, I suggest you go for the overnight stay. The wait time for some adventures (like ATV, Sky Drop) is uncontrollable and could eat up your time, especially if it’s a weekend. We were not able to do a lot on our first day since it rained for a few hours, so we had to reschedule our ATV ride. It should have been our first stop. While there was a downpour, we decided to take a dip in the pool which is located in the camping site. It was after the rain that I began to appreciate the beauty of the pool area. It’s pure serenity in every way. We did the SkyBike after the rain. I’m acrophobic by nature, heights scare me to bits. It was my first skybike experience as well so I’m up for a bit of a challenge here. The staff made sure that the security belts were properly attached and performed safety measures prior to releasing us to the course so I felt a bit of security. A few pedals later through the course, I was as confident as I can be. My daughter took the zip line and horseback riding all on her own. You can already see that she did not get her guts from me. Haha. When the zipline & horseback riding was through, my brother and I discussed whether we do the SkyDrop not. He really wanted to try it. You have to understand that while at the park, we could hear the screams of the people doing the skydrop. Curiosity took the best of me and I agreed to join him. We were taken by a military truck to the site and that ride alone was an adventure in itself. My friends will never describe me as a risk taker. By traditional standards, I can say that I’ve never experienced anything dangerous in my life. The SkyDrop lets you swing back and forth 120 ft above the ground. It sounds dangerous, but the staff assured that the management specifically designed it following the highest safety guidelines with double redundant system ensuring the utmost safety of the passenger. Protective gears were securely strapped all over our bodies with a weighted harness as our ONLY security blanket. When the mechanical cables started pulling us upwards, I wanted to back out but there’s no escaping anymore. All I did was distract myself with the breathtaking view from above. My fear of heights was enough to mess with my head and I began to have cold sweats all over. What added to the thrill was one of us had to pull the trigger in order to release the lock to start the free fall. After my brother released the lock, I felt my soul jumped out of my body for a good second. It was truly a life-altering experience for me considering I’m such a wuss. I screamed liked a baby until the giant pendulum-like swing started to slow down. It was such an adrenaline pumping experience and I promised myself that I won’t do it again! But that’s just the wimp in me talking. The SkyDrop is suited for adrenaline seekers who are not afraid to try anything. YOU have to try it. The following day, immediately after breakfast, we head to the ATV site on board the same military truck. We are all beginners at one point and this was also my first ATV experience. I must admit, I enjoyed it to the last second. Half of their ATVs were not working, so we had to wait about 2 hours for our turn. That’s the reason why we were not able to try other adventure activities since we finished our trail at around 11:30 AM. I wanted to try the Speedway but we ran out of time and needed to check out by noon. There is so much more to do at Danasan, so not having to try other adventures is enough reason for me to go back. 3. Various accommodation to fit your lifestyle (and budget). We arrived at the park a few minutes before 10AM. Immediately, we went to the reception and had our receipt verified. I was surprised that they let us have the room upon arrival. That was a major customer satisfaction for me. The park features accommodations that are designed for those who truly want to make the most of their vacation. 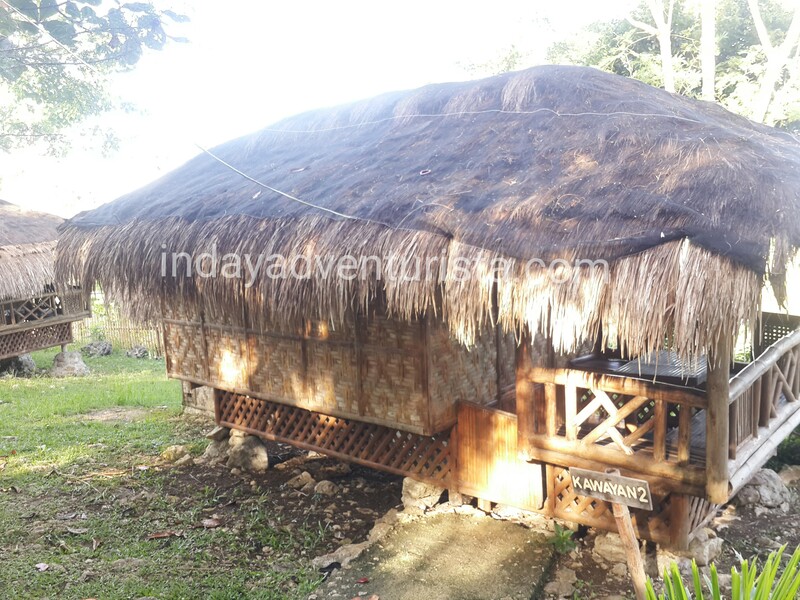 They have several rooms/cottages suited for a certain number of heads, both airconditioned and non-airconditioned rooms. 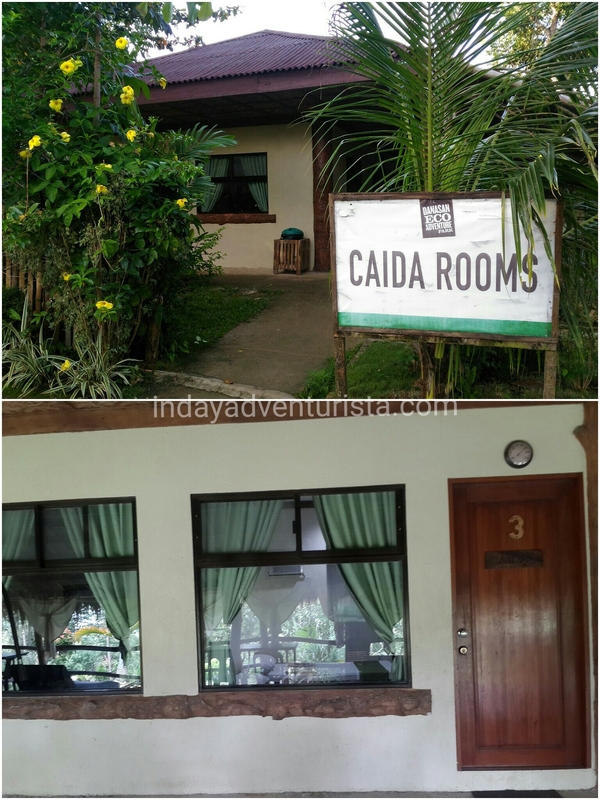 We took the Caida room 3 (good for 4 pax) and it was pretty decent. It had two double sized bed, a flat screen TV, thermos, has its own restroom, and a lounge chair at the mini porch with a view of the garden. The room accommodation also comes with free breakfast. 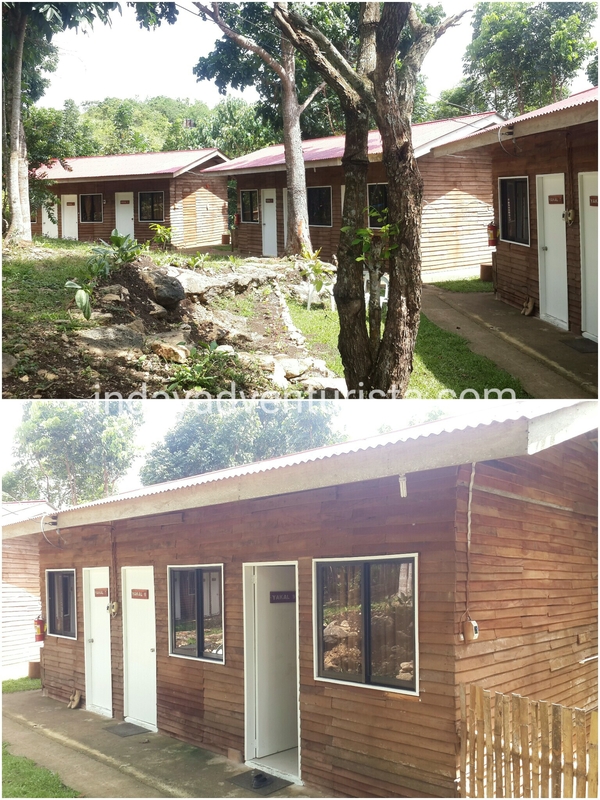 Their clubhouse opens a scenic view of the park, best for relaxation after a day of thrilling activities. 4. 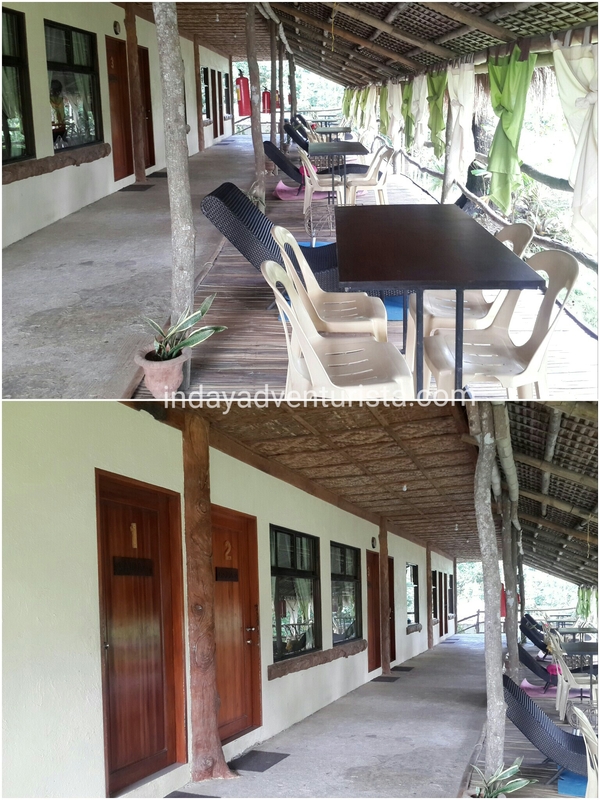 Good food and budget-friendly group packages for DAY USE and overnight stay. Sumptuous meals are offered in the restaurant. Imagine having good food with your family or friends while admiring the place’s scenic view. You can also request for room service, but they have a policy of “no bringing of food” inside the rooms. Chairs and a table were provided at the porch so if you’re too tired to go to the restaurant, you may have your meals delivered to your room. Enjoy karaoke nights with friends while having some drinks is another late night activity you can do at Danasan. For bigger gatherings, you can book group functions at their indoor session hall. If you thirst for an exhilarating experience, Danasan has got you covered. Thrill-seekers will get utmost satisfaction from the wide range of amenities and exciting activities that will keep your adrenaline pumping. As for myself, I can’t wait to be back!